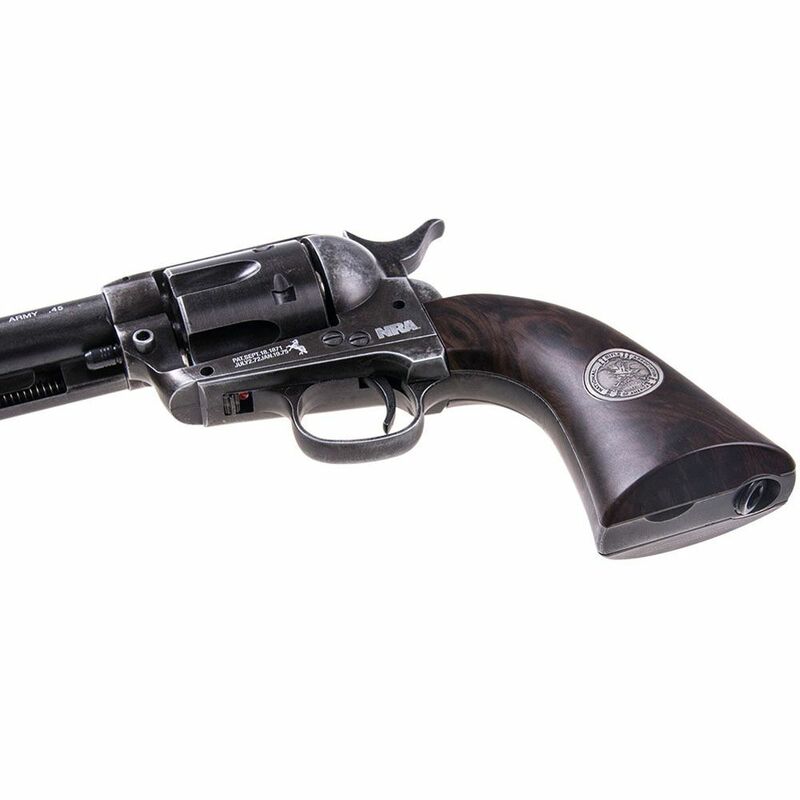 The limited edition NRA model of the Umarex Peacemaker is for true gun lovers. 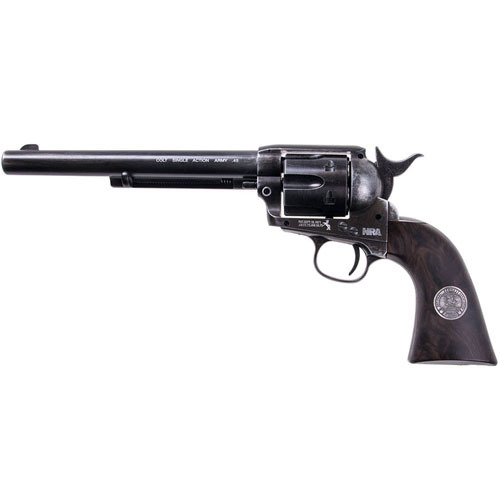 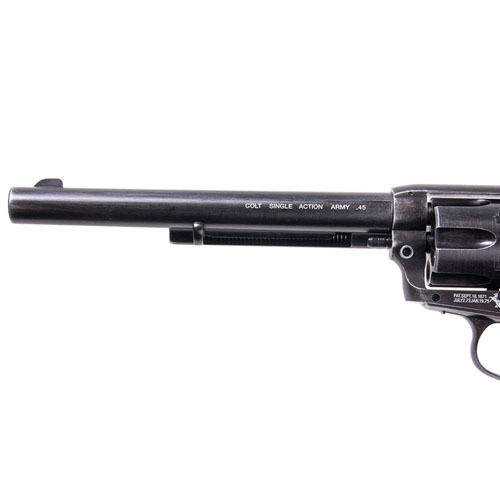 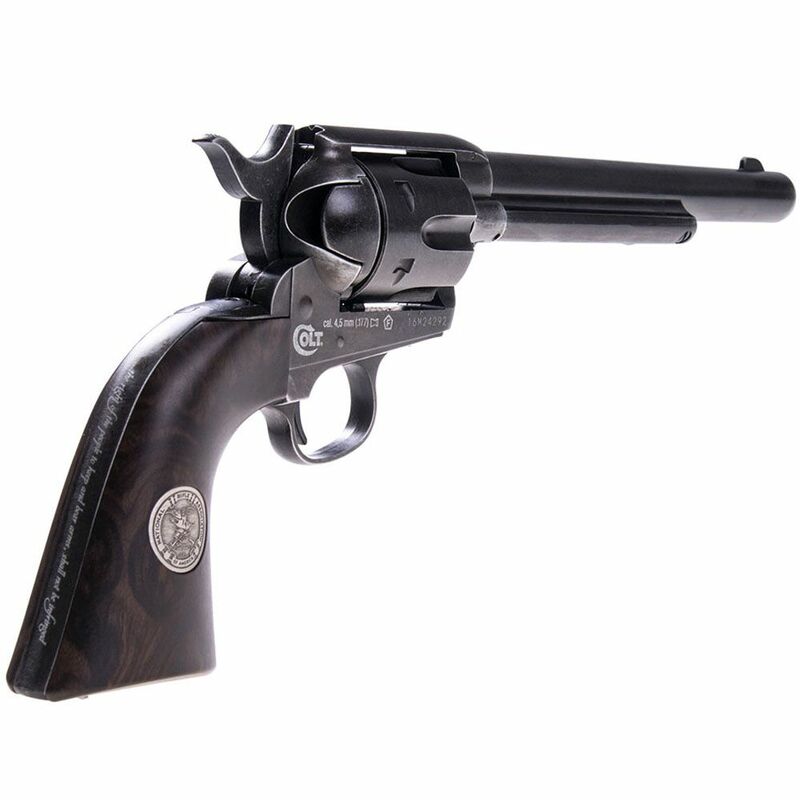 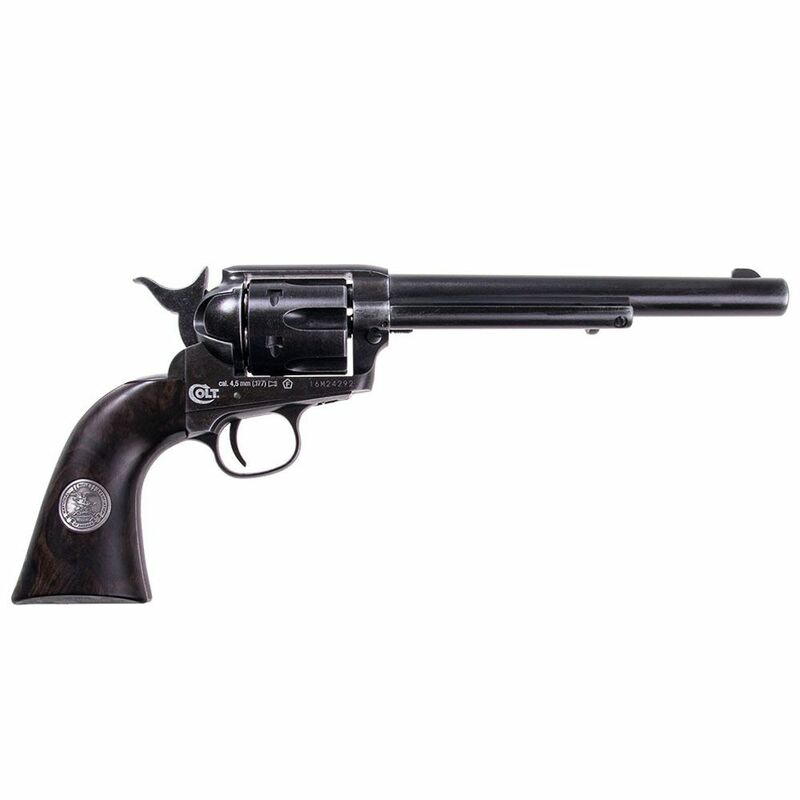 This pellet pistol is an authentic replica of the Colt Single Action Army revolver, decorated with official Colt and NRA trademarks. 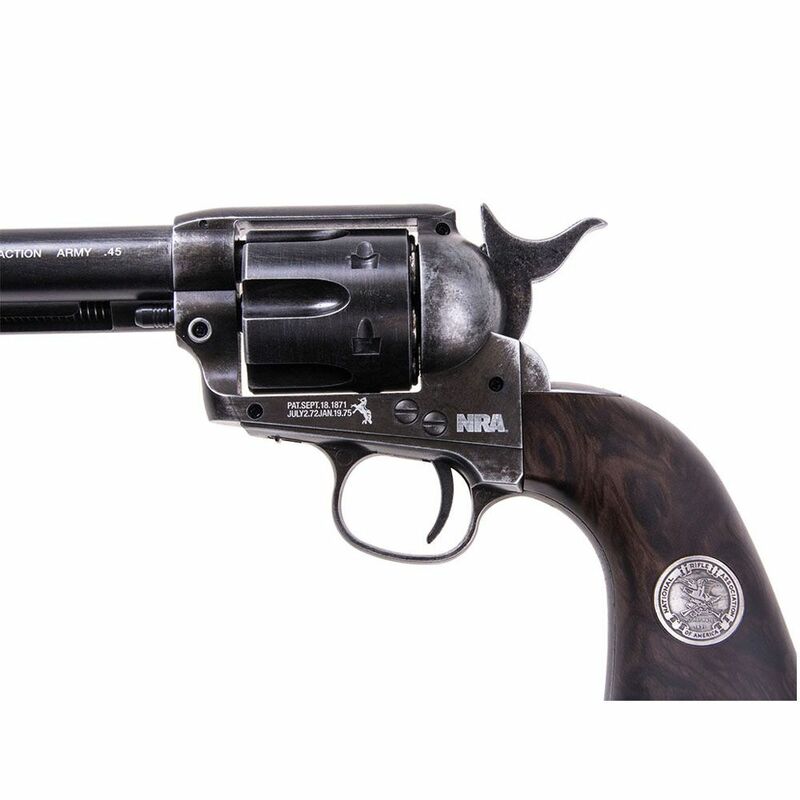 An NRA medallion has been inlaid on both sides of the grip and a verse from the second amendment is laser engraved along the backstrap. 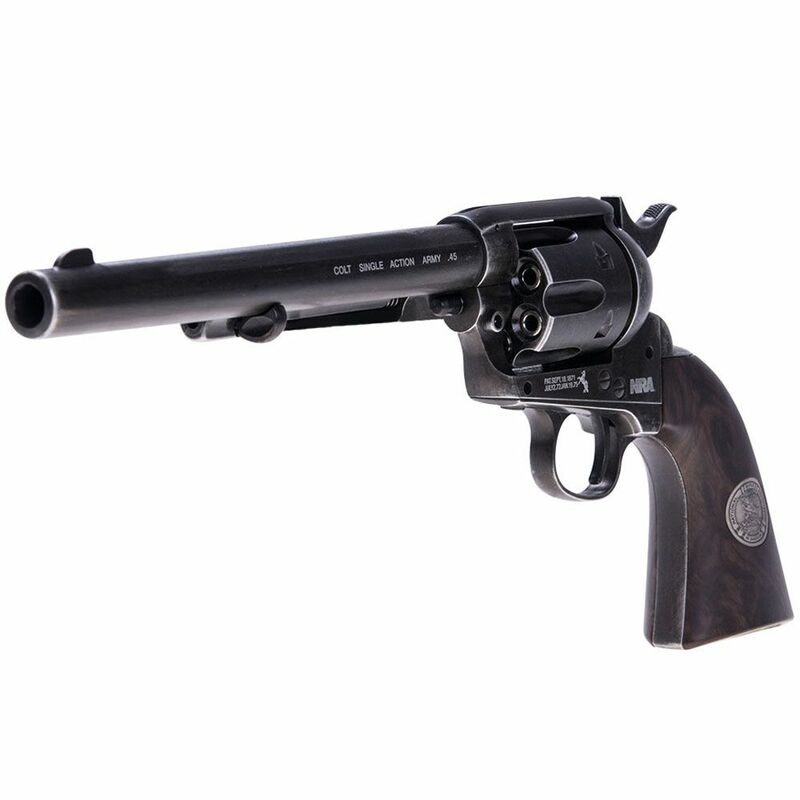 This NRA model features a slightly longer barrel than other Peacemakers, giving you a boost of firepower and improved accuracy. 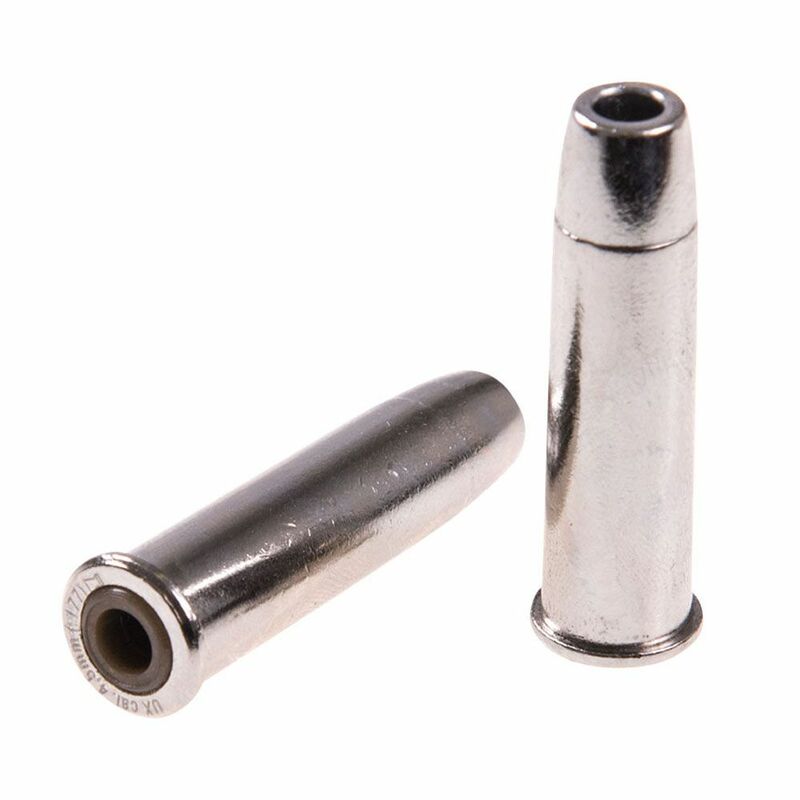 Just like original .45 SAA, the cylinder is loaded one shell at a time through the loading gate and fires them with a heavy single-action trigger system.